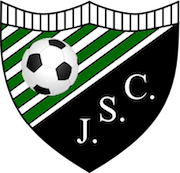 Jville Soccer Club Gear Now Available for Purchase! We are pleased to share that our JSC spirit wear webstore is ready! With our soccer season just around the corner, get ready to cheer on your favorite player or team sporting your white, black and GREEN! Not only will you be showing your support from the sidelines, but the club will benefit from getting back 10% of all sales. This fundraising effort will be used towards things like future tournament fees, registration, etc. Feel free to spread the word and share with friends and family. You can have your items delivered or you can pick them up at Orange Sun Teamwear. Happy shopping! Thanks for your support! GO JVILLE!!!! If you have any questions or suggestions for items, please reach out to Kelly Jordan at kellyjordan894@outlook.com or 267-240-3969. A BIG thank you to Kelly Jordan for coordinating this with OrangeSun Teamwear.